Aspinal of London and Beulah have collaborated on a special charity project by creating two limited edition 'Blue Heart' clutches, with Beulah's iconic blue heart print featuring on the exterior and interior linings of both bags. The Blue Heart Campaign is an awareness raising initiative to fight human trafficking and its impact on society. 25% of the profits from each sale of the limited edition Blue Heart Clutch will be donated to the United Nations Blue Heart Campaign. 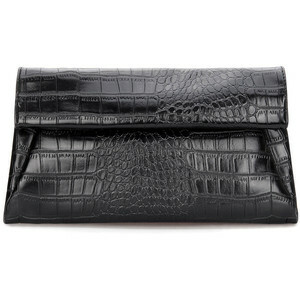 STYLE FILE: Aspinal x Beulah Blue Heart Black Croc Clutch as seen on Kate Middleton, The Duchess of Cambridge.